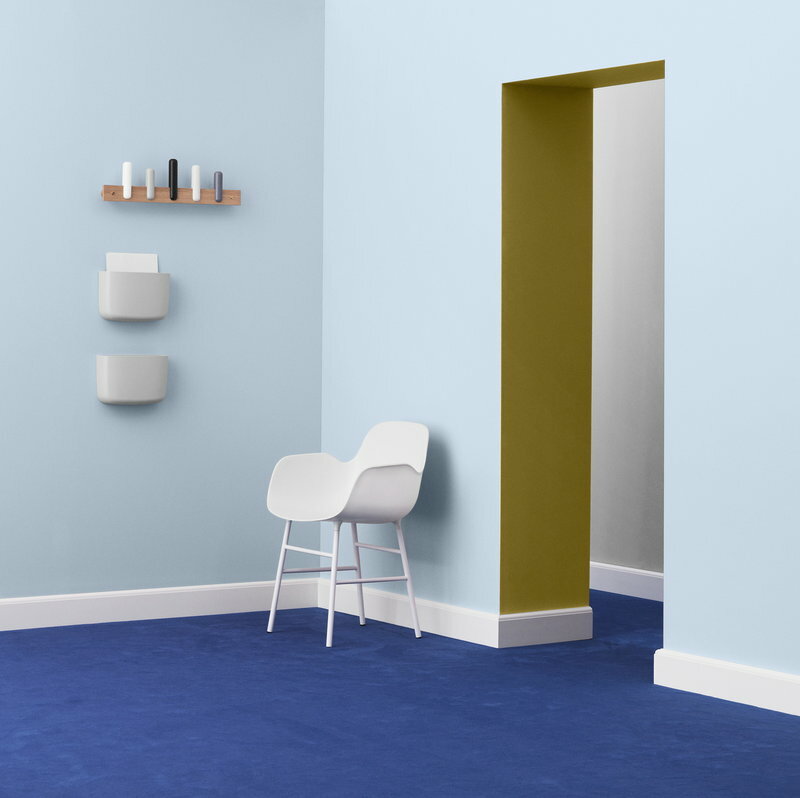 Form armchair by Normann Copenhagen is a comfortable chair with a clean-lined and innovative design: its round steel legs are joined to the seat with a cup system which gives the chair its unique and contemporary look. 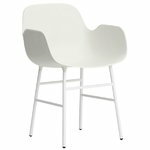 Form fits various kinds of spaces all the way from the office to the dining room, and its rounded plastic seat is easy to keep clean. Form could be seen as the definition of an ideal chair. Designer Simon Legald has said: ”I had an idea of what the ideal chair should look like, and I have had this idea for many years. I have analysed hundreds of chairs from different periods during the design process." Form concept was born as Legald’s graduation project, and in 2016, the furniture collection received the prestigious iF Design Award. Simon Legald (born 1986) is a Danish designer. Legald graduated during the summer 2012 and he already has several own designs in production. When asked about his own style and design aesthetics, he describes them as "honest with nordic simplicity".